OPEC and Russia halt slide in oil prices. Canada added 79,500 new jobs last month, mostly part-time, bringing the unemployment rate to 5.9%, the lowest since 2008. Gains were led by Ontario, Quebec and BC. Over the past 12 months, the country has now seen the addition of 441,000 new full-time jobs. Alberta added 17,800 part-time jobs in November but lost 12,400 full-time positions. The province's unemployment rate fell to 6.8% last month as more people exited the workforce. Average weekly earnings were $986 in September, up 1.0% from August and up 3.1% y/y. Gains were led by lower-paying sectors of the economy, mainly food services and accommodations. In Alberta, earnings rose 2.3% to $1,142/week, driven by gains in the higher-paying energy patch. Third quarter GDP grew at an annualized rate of 1.7%, dragged lower by weakness in exports, particularly auto parts and energy. Canada's current account deficit widened by $3.8 billion in Q3 to $19.3 billion. Total exports of goods declined $11.0 billion to $131.1 billion while imports fell $7.4 billion to $140.0 billion. Foreign investors purchased $51.6 billion in Canadian bonds in the third quarter, now totalling $351.7 billion in the past 2 years. Initial claims unemployment benefits fell by 2,000 to a seasonally adjusted 238,000 last week, slightly better than analysts were expecting. US consumer spending slowed to 0.3% growth in October blamed on an active hurricane season. September figures were revised lower to 0.9%. The PCE price index rose 0.2% in October to an annualized rate of 1.4%, ex-food and energy. US treasuries had an uneventful week, ending Friday roughly unchanged. 10-year yields gained about 1% on both sides of the border. The month of November saw a significant rise in short-term yields on expectations for at least three rate hikes next year. Longer-duration treasuries ended the month flat to lower. The Canadian dollar ended November roughly unchanged from October levels. The Euro and British pound were the best performers, gaining 2.2% and 1.9% m/m, respectively. The US dollar lost 1.5% during the month of November, and also ended the week roughly unchanged. OPEC and Russia have agreed to extend their 1.8 million bbl/day production cut from next March to the end of 2018. Russia is pushing for more clarity on when to exit the deal, expressing concerns the agreement may lead to big increases in US shale output. Nigeria and Libya have now joined the pact, promising to limit their combined production to 2.8 million bbl/day. OPEC has agreed to review output next June and signalled they may exit early if oil markets "overheat." Restart of TransCanada's Keystone pipeline has narrowed the heavy oil differential from about US$17.65 late last week to US$17.16 a barrel on Friday. The WCS discount to WTI averaged US$15.11/bbl for the month of November, up US$3.31 from the previous month. Oil prices dipped earlier in the week but recovered on Friday after OPEC's agreement. The Brent January contract expired this week, rolling into February. Note that near-month prices for all other crude benchmarks still reflect January contracts. Both the Brent and WTI futures curves remains in firm backwardation. Edmonton condensate prices took a tumble this week, falling $2.39 to about $77 a barrel. TD economist Dina Ignjatovic noted that OPEC's extension of production cuts had been mostly priced in by the markets, and supply/demand fundamentals will likely result in WTI prices falling back below US$55 a barrel. The US Energy Information Administration (EIA) announced another increase in crude production last week, rising 24,000 bbl/day to a new record high of 9.68 million bbl/day. Outage of TransCanada's Keystone pipeline dented inventories at Cushing, falling 2.9 million barrels. Imports from Canada also declined sharply, falling almost 12% to 2.9 million bbl/day. Baker Hughes reported another rise in North American oil rig counts this week, rising by two in the US and four in Canada, bringing the total to 749 and 111 rigs, respectively. US natural gas production hit a record high of 76.7 Bcf/day last week, as output from the Permian, Marcellus, Utica and Bakken plays hit record highs. The number of natural gas rigs in service also increased by 7 this week, bringing the North American total to 291. GEOPOLITICS — NEUTRAL North Korea moved back into the headlines this week after it launched another missile into the Pacific ocean. Anti-corruption arrests continue in Venezuela. News out of the Saudi Kingdom also went quiet this week. Equity and energy markets appear unaffected so far. USD INDEX — NEUTRAL The US dollar was roughly unchanged this week. SUPPLY ▼ BEARISH US oil output hit another record high last week. After bottoming in early November, oil rig counts have been slowly rising through the past month, gaining another 2 rigs this week. OPEC and Russia have agreed to not raise output next year, and will review production quotas next June. DEMAND — NEUTRAL No new news on the demand front this week. SENTIMENT — NEUTRAL After reaching record-bullish territory, hedge funds have started to trim their net long positions towards the end of November. Enthusiasm over tax cuts helped power US markets to new record highs this week. The S&P 500 and Dow have now registered eight consecutive monthly gains. If approved, the corporate tax rate would be reduced from 35% to 20%. Economists estimate that would translate into a 6.5% increase in earnings on average. For the month of November, US markets gained about 3%, led by large cap Dow components. Japan's Nikkei was one of the best performers last month, gaining 3.2%. European markets, including the FTSE, declined about 2.5% last month. The TSX managed to eke out a 0.3% gain in November. In US markets, all sectors powered higher with the exception of high-flying technology stocks, which declined 2% for the week. Most US sectors remain at or near record-highs, except for energy stocks. Staples and energy stocks ended the week higher on the TSX. All other sectors were flat to lower. US energy stocks are once again outperforming Canadian energy players. Canadian energy stocks ended the week mostly in the positive. Notable exceptions on the TSX this week include TransCanada (TRP -2.9%), Keyera (KEY -4.1%) and MEG Energy (-3.0%). Almost all S&P energy components ended the week higher. Third quarter revenues from Canada's oil & gas producers reported their 11th consecutive quarterly loss in Q3. Analysts at Desjardins expect the sector as a whole to swing to a profit in the fourth quarter. However, the bank warns not to expect significant investment in the Canadian energy patch any time soon. At its Investor Day meeting this week, TransCanada (TRP) says it expects to grow comparable earnings by 10% annually through 2020, which should translate into a proportional increase in its annual dividend. The company restarted its Keystone pipeline this week at reduced rates, after being taken offline in mid-November due to a leak that occurred in South Dakota. TransCanada is still crunching numbers on the Keystone XL pipeline, but says it expects to secure enough binding commitments on the line. Keyera Corp (KEY) announced a 10-year gas handling agreement with Athabasca Oil Corporation (ATH) and Murphy Oil (NYSE:MUR) to process natural gas production from their Montney and Duvernay operations west of Fox Creek, Alberta. The company boosted their 2018 capital spending plan to a range of $800 million to $900 million and also announced the issuance of 12.2 million common shares in bought deal financing. MEG Energy (MEG) says it plans to produce about 6% more oil next year, hopefully exiting the year at close to 100,000 bbl/day. The company has set a 2018 capital budget of $510 million while operating costs at its Christina Lake operations are expected to decline to about $5/bbl, ex-energy. In this week's three-year financial outlook, Enbridge (ENB) says it plans to spend $22 billion through 2020 and divest or monetize at least $3 billion in its natural gas midstream and onshore renewables division. The company also announced the private placement of almost 33.5 million shares at $44.84 per share. Gross proceeds will be used to repay short-term debt. Enbridge also raised its quarterly dividend by 10% to $0.671 per share payable on March 1, 2018. Enbridge Income Fund (ENF) also announced the issuance of almost 18 million shares priced at $27.80 per share and also boosted its dividend by 10%. Pembina Pipeline (PPL) announced the issuance of 12 million class A preferred shares at a price of $25, yielding 4.9% annually until March 2023. Net proceeds from the sale will be used to pay down debt incurred for its recent acquisition of Veresen. Pembina's Board of Directors has also approved $400 million in new capital projects, as well as a capital spending program of about $1.3 billion for next year. New 52-week lows on the TSX this week include Advantage Oil Gas (AAV), Bellatrix Exploration (BXE), Birchcliff Energy (BIR), Bonavista Energy (BNP) and Keyera Corp (KEY). ExxonMobil (XOM) announced first oil from the 150,000 bbl/day Hebron oil field off the coast of St. John's, NL. Hebron is owned jointly with partners Suncor Energy (SU), Chevron (CVX), Statoil (STO) and Nalcor Energy. ExxonMobil also announced plans to restructure the company’s international refining and marketing divisions, aimed at lowering operating costs and boosting profits. Magellan Midstream Partners (MMP) has launched open season to assess customer interest in a new 375 mile pipeline transporting 350,000 bbl/day of crude and condensate from Permian and Eagle Ford Basins to the Corpus Christi and Houston area. Subject to receipt of all regulatory approvals, the new pipeline could be in service by the end of 2019. The Vancouver Energy terminal project, owned jointly between Andeavor (ANDV) and Savage suffered another setback this week after a Washington State panel unanimously recommended the state governor reject a permit for the project. WA Governor Inslee has 60 days to render a final decision. Marathon Oil (MRO) announced a further debt reduction of US$1 billion this week, bringing the total to US$1.75 billion since the beginning of the third quarter. The company says it expects to save US$115 million annually in interest payments. In this week's 2018 guidance, Spectra Energy Partners (SEP) says its financial and business outlook through 2020 continues to be strong, boosting its dividend by 7% next year and hopefully 5% annually over the next two years. Camp-operator Civeo (CVEO) announced plans to purchase Alberta's Noralta Lodge for US$289 million, excluding debt. Civeo says it expects to save $10 million in 2019 through "operational and corporate efficiencies." Teeky Offshore Partners (TOO) announced first oil from its Libra FSPO in Brazil's Santos Basin. Libra is jointly owned with Petrobras (PBR), Total (TOT), Shell (RDS.A), CNPC and CNOOC. The facility has a daily production capacity of 50,000 barrels of oil and 4 million cubic meters of gas. French energy giant Total (TOT) has agreed to sell its stake in two Norwegian oil fields to Statoil (STO) for US$1.45 billion, including its 51% stake in the Martin Linge field and a 40% stake in the Garantiana discovery. Statoil has agreed to take over operatorship of the two facilities. At this week's Management Day Meeting, Royal Dutch Shell (RDS.A) announced plans to buy back at least US$25 billion in shares through 2020. Free cash flow is estimated at US$25 to US$30 billion by 2020, assuming a Brent price of US$60. Shell and PetroChina (PTR) also signed a 27-year deal to supply Shell's Queensland Curtis Liquefied Natural Gas development in Australia. 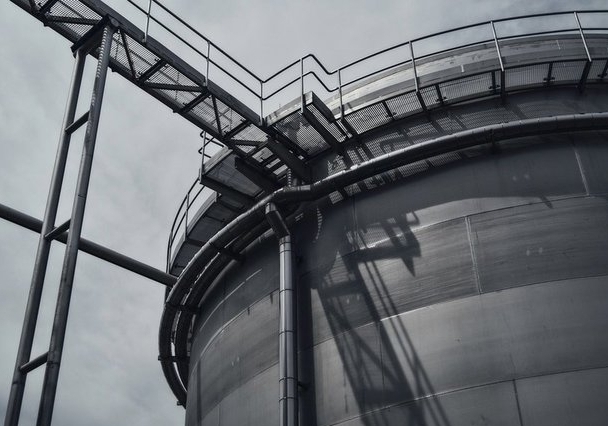 A subsidiary of BP (BP) and Brazil's Copersucar have formed a 50/50 joint-venture to own and operate a major ethanol storage terminal in Brazil. Copersucar is the world’s leading sugar and ethanol trader. Commercial terms of the deal were not disclosed. New 52-week highs on the S&P 500 include Cabot Oil & Gas (COG), Phillips 66 (PSX), Total (TOT) and Valero Energy (VLO). Kinder Morgan (KMI) hit a new 52-week low. Enbridge (TSX:ENB): Upgraded from Buy to Hold at GMP Securities. TechnipFMC (NYSE:FTI): Upgraded from Hold to Buy at Tudor Pickering. National Oilwell Varco (NYSE:NOV): Upgraded from Sell to Hold at SunTrust Banks. PBF Energy (NYSE:PBF): Downgraded from Neutral to Sell at Goldman Sachs. Stone Energy (NYSE:SGY): Downgraded from Buy to Neutral at National Securities.